Are your organization's workers reaching their peak potential? If you answered yes, do they think they're reaching their potential? A recent study of 4,300 employees found 74% of your organization’s workers feel they're underachieving. Most companies approach learning the same. New employees are taught everything about their position in the first few weeks of work. However, only 12% of learners actually apply the skills they gained in training to their job. Engagement and satisfaction could be suffering because of that early day's training. The answer to this misalignment lies in how learning and development is fostered beyond the onboarding and training stage. Developing a learning culture means encouraging continuous learning and instilling a belief in employees that supporting one another’s development is beneficial for all. The return on this investment can include increased efficiency and profit, natural succession planning and development, improved satisfaction and employee ownership and so much more. Better yet, 66% of people surveyed in one study said they valued learning over monetary compensation, showing the many professionals prioritize skill development in their career pursuits. How can HR develop a learning culture within their organization and reap all these rewards? Below are the basics in creating a culture of learning along with actionable ways to see the process through. The first few months of employment are critical to the success of a hire. It is also the time when habits, good or bad, are formed. With a well-organized training program, you proactively guide the formation of the right habits for the company and skills for the job. Additionally, when your process has structure, you can better communicate the developmental ladder to the hire as well as better plan for pivot points in your own employee development strategy. Make it Happen: Often time and money investments cause training and development to be rushed. Combat this by realizing initial training courses do not need to be extensive so long as they help the new hire gain a better understanding of their job. Outline a path to mastery instead of a week-long training course. Start the first few weeks with basics of the position and dedicate ample time to instruct, practice and retain the information. Then visit more advanced skills a few weeks or even months later. Your new hires will be eased into the role while the process instills the company belief of continuous learning. This will touch on the employee’s values, as well, since 68% of workers say training and development is the most important workplace policy. Without appreciation fueling your learning culture, employees will lack drive to pursue development. And those that still have their own internal interest in pursuing skill advancement will eventually feel stifled by your organization and move on. One Workplace Trends study reported that 41% of employees believed they would need to leave their current company for better career options, while 33% said they felt their current company didn’t recognize or appreciate their skills and talents. Don’t neglect recognition for learning and development. Consider ways your company can realistically reward employees for continuing to push their personal knowledge. Make it Happen: The obvious approach to recognition for skill development is monetary. Yes, many employees pursue additional education in hopes of obtaining additional pay, however, that’s not all your organization has to offer. Career advancement or clearly detailed career trajectory can be big signs of appreciation to an employee. Consider the ways your employees newly acquired skill can be used within their team or your company. Can they be moved to another department? Will they be suitable for a leadership role? Simply discussing their future goals and plans will help you retain their skills and could even push your company in a new, profitable direction. If monetary reward is really the only language your employees speak, offer a one-time bonus in addition to recommendations for future knowledge pursuits or career moves. It’s been said that 80% of corporate learning is informal. The statistic varies depending on the survey and definition of informal, but the meaning behind it is what is most important: employees aren’t learning a majority of their job in your training courses. While they do grasp basics and sometimes learn tips and tricks, it’s the guidance from their colleagues that really drives learning. 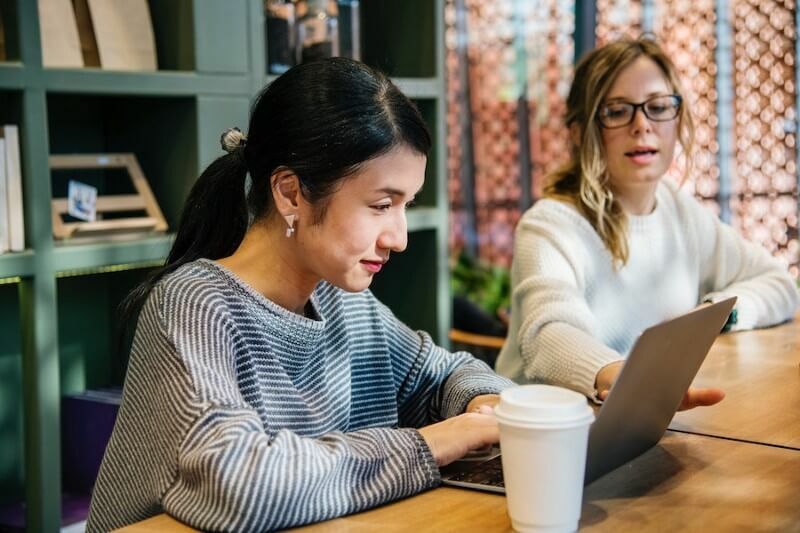 In fact, another survey found that 45% of employee learning is attributed to on-the-job experience, which is a hefty amount when compared to the 8% of training programs. Whether it’s sharing something as simple as a shortcut keyboard key or as grandiose as client management advice, employees do their best work when they can bounce ideas between one another. Inspire these interactions while encouraging employees to test the waters of their own position. Make it Happen: First and foremost, lead by example. Provide places for employees to safely test ideas and skills. Encourage mistakes in these areas and be sure to remain positive when they do happen. When employees present ideas, listen honestly and explain why one isn’t pursued. Kickstart these conversations by asking for opinions when the company faces challenges. It shows the team that leadership values their experience and understanding while encouraging them to seek solutions. Formalize knowledge sharing by introducing mentorship and coaching programs. Even these can be as informal as explaining to new hires which team members are most knowledgeable in specific areas or departments, offering direct contact information and encouraging questions. At the end of the day, leadership is the catalyst in developing a learning culture. If management isn’t dedicated to gaining more skills and being better within their role, employees won’t be either. Set a great example for your workforce by downloading our quick guide, Taking Your HR Career to the Next Level. In it you will find numerous ways you can sharpen your HR skills to be a better leader and professional.